Talk about saving the best for last! Tonight’s final episode was jam-packed with all the high jinks and drama you could hope for. So, whether you’ve got a penchant for patents or your interest is still pending, let’s get started. Every week, I get that tingle of excitement when I think a Dragon is going to mention the ever-elusive word that is ‘IP’. You can only imagine how happy I was to see two whole patent applications sitting in Deborah Meaden’s hands in the space of one hour! The first patent belonged to carpenters Pelham Vincent and David Hall. The duo were showcasing their handiwork with Foldsmart, their innovative flat-packed furniture. Despite a faltering start, the unique folding structure of the products soon raised the spirits in the Den. For me, the whole thing lies in the value of the patent. But in the end, it was the patent that proved problematic for Deborah. In her view, the aspect they were trying to protect wasn’t the patentable part of their invention. This meant they wouldn't have their unique selling point protected. Unlike the Foldsmart furniture, patent applications aren’t quick and easy to assemble. They have to be individually crafted, don’t come in a standard model and take longer than 2 minutes to perfect. They have to be specific. One small error or omission could mean the difference between getting protection and missing out. I’d always recommend consulting a patent attorney. They can guide you through the process, from determining if your product is patentable to seeing it through to grant. Our Sugru case study explains more about patents from the point of view of both an inventor and an attorney. The same fate befell mini-preneurs Kia and Sky Ballantyne. Alongside company directors Ali Ballantyne and Jeremy Wilson, they brought their Crikey Bikey harness to the Dragons. Invented and pitched by 12 year-old Sky and 14 year-old Kia, the harness helps children learn to ride bikes. Unfazed by the Den, they demonstrated their skills and announced that they already own a trade mark and a patent for the product. Clearly impressed, Nick Jenkins asked Kia to explain the reasons they applied for a patent. We’ve already got a patent for the UK but we want an international one. Then we can start internationally with less people copying our product. It soon transpired that, as with Foldsmart, the Crikey Bikey patent is pending and hasn't reached grant. As Chris explained in his Episode 6 blog, having a patent pending makes people aware that a patent may be granted. But it doesn’t guarantee your application will reach grant. Sometimes as an inventor, you need to understand when it’s worth it and it’s not. Is my invention new or has it been done before? Will it make enough money to cover the patent application and renewal costs? Will there still be a market for this in 3 years? As we’ve mentioned before, registered designs can be cheaper, quicker and more appropriate for your product than a patent. A design protects the appearance of a product. So, even if you can't protect its function with a patent, you could protect the way it looks. Both Foldsmart and the Crikey Bikey failed to secure investment. But don’t let that fool you – the right patent for the right product can be a valuable asset. 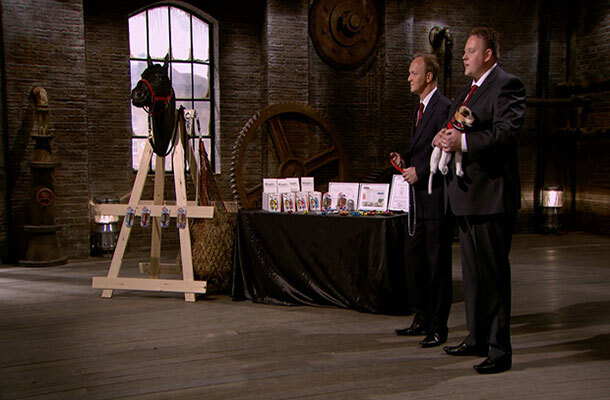 The last entrepreneurs into the Den were Anthony Garlick and Steve Shickell with Magloc, the connector click for dog leads. 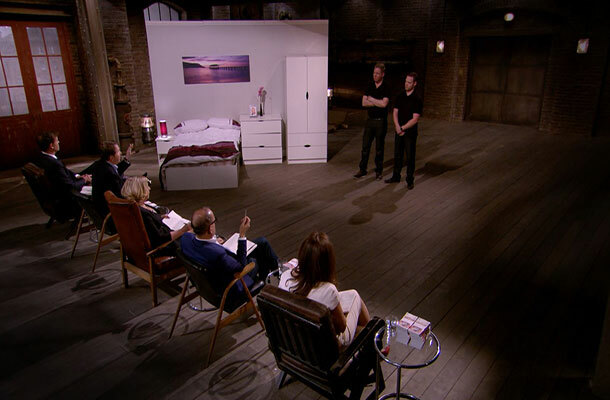 Their interactive pitch helped them secure the £100k they were looking for from Nick Jenkins. I can understand why, as the product caught my interest too. But I can't help wonder if their granted patent was another reason Nick invested. Patents prove popular with investors as it adds value to your business. If you're applying for a patent, make sure you haven't shared your invention publically. If you've mentioned it in a speech, uploaded a photo to social media or displayed a prototype at a trade show, this could potentially stop your patent being granted. Consider using Non-Disclosure Agreements (NDAs), even if you’re speaking to investors. All in all, this series has been a real roller-coaster ride. Congratulations to everyone who's dared to enter the Den and to those who secured investment. For more information on IP rights and how to identify those owned by your business, try our IP for Business tools. They can help you understand which IP rights will help you protect your inventions and business creations. These are good points about patent registration and protection. A patent application is only worthwhile if you get a return on investment in registering the patent. Registering a patent incurs a significant amount of time and expense and therefore anyone considering registering a patent must ensure that exploitation of the patent will compensate you for such time and expense. In addition it should also be noted that even if you succeed in registering a patent it can be very costly to enforce your patent rights against an infringer. 3. Will you get a return on your investment that compensates you for all your time and expense incurred in registering the patent.